Where Are You in Your Podcasting Journey? Planning or Launching a Podcast? The definitive guide for starting a podcast as a content strategy. Building an audience, authority in your field and site rank are only some of the benefits. Innovative AI driven solutions are designed to make the recording process simpler and less time consuming. The holy grail of podcasting is to get more iTunes subscribers, right? Wrong. Learn how your podcast website design is a crucial strategy for growing your podcast. Any content strategy benefits from a little SEO research. Here are some tips for planning your episode content and titles to attract traffic. My name is Juergen Berkessel, and I became passionate about podcasting a few years ago. I was helping a client with her content strategy. At the time it seemed podcasting might be easier than blogging. I was wrong about that. Podcasting is NOT easy. In fact, it can be a lot of work. But, it is totally worth it. Podcasting is an effective content strategy that attracts loyal audiences, generates leads and helps build authority. Podcast subscribers get to know, like and trust you on a podcast in a way that most other channels do not. So yes, it is a lot of work, but you can outsource the hard parts. 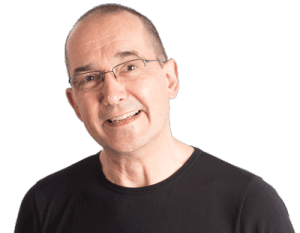 Over the years I have specialized in helping authors, speakers, brands, small businesses and even large corporates launch and market their own podcasts. Polymash has been fortunate to help launch and produce multiple #1 shows for entrepreneurs, authors, speakers and businesses in the technology, financial, pharmaceutical, wellness and cyber-security space. It's been tremendous fun, most of all because I get to see my clients become tremendous podcasters. The impact podcasting has had for businesses and brands has been amazing, and measurable. Even for those who didn't reach the #1 slot on iTunes. 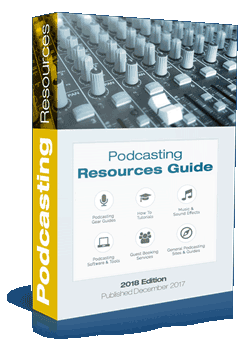 Since 2014 I have been working on a comprehensive podcasting resources directory. 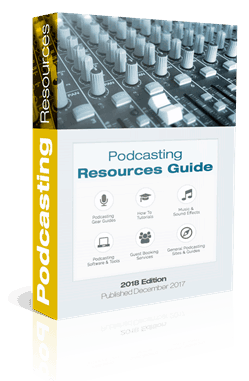 It covers podcasting courses and learning programs, podcasting technique tutorials, podcasts about podcasting, transcription services, recording software reviews and many other resources. Launching, producing and marketing a business podcast just got easier. Could You Use Help With Your Launch? Maximize your podcast launch with this online “one on one” workshop with podcast serial launch & marketing experts. You focus on recording and team up with us to take care of the technical details of launching your show. Team up with us to design and build a conversion optimized home page. Give your podcast launch the best chance of adding a steady stream of subscribers. If you want an amazing website for your podcast, look no further. We have built dozens of attractive, conversion focused web sites for podcasters and small business. 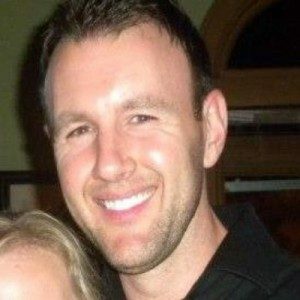 "My goal was to rank on page #1 on Google for the keyword 'Customer Experience Podcast'. Most business oriented podcasts are interview based. The concept is to talk with leaders in your field and share their insights and experience with your audience. We help podcasters develop production processes to fit their podcast production goals. Will Skype's Simple Call Recorder Software Work For Podcasters? Microsoft recently announced that Skype will feature built-in recording feature. But will it work for podcasters? Podcast Recording Software can be complex, but several innovative companies are attempting to make it much easier. Your podcast episode titles are something you want to make sure gets shared on social media. So, make them click-worthy and compelling. The least favorite part of podcasting? For most podcasters, the production process is the least favorite part of having a podcast. We enjoy the recording process, talking to guests and co-hosts. But processing audio files, messing with podcast editing software and adding meta-data to the audio files can seem like a chore. And that’s only the start. Having great episode show notes is an important part of podcasting as a content strategy. And show notes take time to plan, write and publish. So, podcasting is a lot of work. But the pay-off makes it worth it. Let me share the goals of our podcast production framework. We focus on accomplishing the below objectives while automating as much as possible. 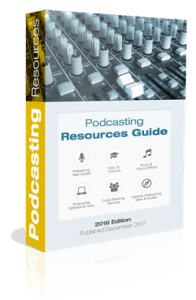 Our podcasting resource directory makes it easy to find ways to improve your recording process. 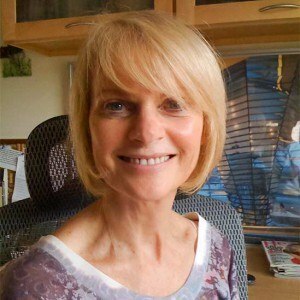 And no matter if you are looking for guest booking services, transcription services or recording software reviews, look no further. Launching, producing and marketing a podcast just got easier. Podcast Episode Production "Done For You"
You record, we handle the podcast audio production process. We'll make you and your guest sound great with broadcast ready sound quality. Great show notes are a reason for your audience to want to visit your website. We SEO optimize your transcripts and turn them into effective show notes. We write customized show notes in your own voice and SEO optimize the, add multiple graphics and custom guest segments. Grow your social presence and drive traffic to your podcast episodes from our evergreen social media posting algorithm, which ensures 6 month presence for your episodes on social media. 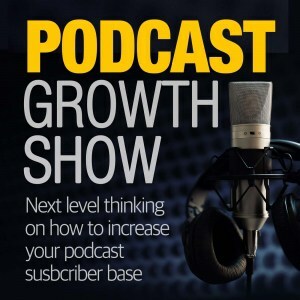 This podcast and video training series is there to help grow your podcast's subscriber base. We have launched over a dozen podcast, and have helped solopreneurs, authors, speakers and even large corporates grow their podcasts. The Apple Podcast Charts may be broken, but here are top alternative strategies, tactics and mistakes to avoid when promoting your podcast. To promote your podcast, most marketers will suggest paying for Facebook traffic to your iTunes and Stitcher pages. There is a better way! Some common mistakes, and ways to avoid them in the first place. A video walk-through and downloadable outreach templates templates for one of the highest converting podcast growth strategies. A video walk-through of a highly converting podcast website design that engages your listeners and turns them into email subscribers. Why is it that after the initial launch of a podcast, subscriber growth seems to stall? What is the best way to promote a podcast? The answer to this question is constantly changing. iTunes is always adjusting their podcast directory search algorithms, and so is Google. Everyone wants to gain listeners on iTunes. For those of us who practice podcasting as a content strategy, building up traffic to our site and an email list of podcast subscribers is even more important. In fact, many podcasters over-focus on iTunes. After the initial launch of a podcast, every show gets 8 weeks in the New and Noteworthy section of iTunes. But most podcasts don’t make it into the top 200. And many unethical shows hack the iTunes directory by paying for their leading positions. So a lot of shows should not even be in the directory at all. And once iTunes catches on, they may well get banned. All of this means marketing a podcast on iTunes is futile and may get harder still. The good news is that most podcasters don’t realize their website is the most effective way to gain new subscribers. This is true for paid ads and for organic search. If you pay for ads, you will want a highly converting podcast landing page to send this traffic to. And you can get free traffic as long as your show notes offer great SEO optimized content. The opportunity this presents is that the marketing and SEO techniques you should already use for your website can also work for your podcast. In this section I would like to present our podcast marketing approach, which has resulted in a constant flow of new subscribers. Clients who follow our framework are consistently getting 65% of their traffic from free Google search results. 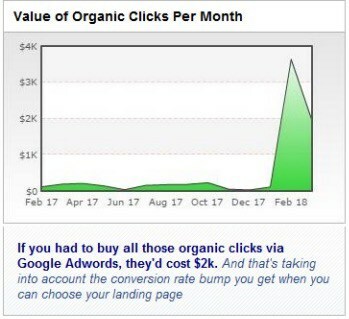 This traffic that is often worth $1,000s a month, as compared to paying for the same keywords on Google AdWords. This book and companion online podcast marketing course offer step by step guides and practical marketing techniques to build your listener base and gain traffic for your show organically. You will learn how to promote your podcast and rank better on Google, iTunes, and Bing. Earn organic traffic to your show and episode pages, and build your podcast email subscriber list in the process! Many people are intimidated by Search Engine Optimization. 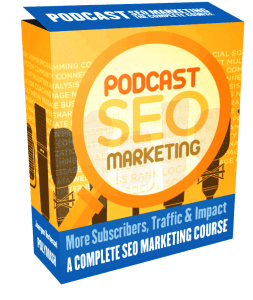 This hands-on course for podcasters demystifies SEO. ​Could you use some Podcast Marketing Help? 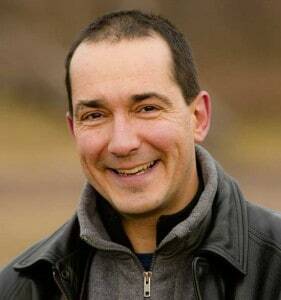 Maximize your podcast growth and marketing efforts with online "one to one" coaching. 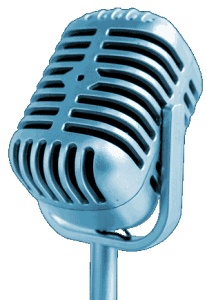 We will develop a custom podcast promotion plan for your show. How to grow your podcast. Get more subscribers, website traffic and increased rank with this step by step online course teaching you podcast promotion methods. My name is Juergen Berkessel, and my entrepreneurial journey started in 2010, when I left my corporate job. 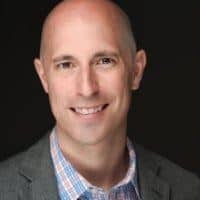 After years of having created and managed enterprise software systems, I started a Marketing Agency that published iOS and Android apps - and I learned how to market these on the iTunes app store. 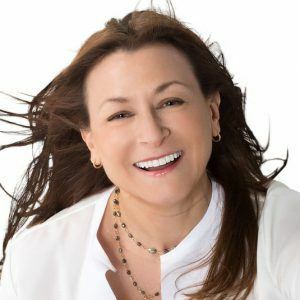 Then I discovered my passion: Helping authors, speakers, entrepreneurs and start-ups grow their online presence through podcasting as content strategy. We launched a couple of #1 shows on iTunes and I was hooked after seeing the results. None of these were instant successes, mind you. But the benefits in terms of traffic, leads, relationships kept increasing steadily. So whether you are passionate about your message, or focused on business outcomes of podcasting, feel free to schedule a conversation to see how podcasting could work for you, or how you could grow your existing show even further.